Hamster has revealed the next game in its ever-growing Arcade Archives series on Switch, and this time we're being treated to Donkey Kong 3. Also launching on the NES three years after its arcade debut, Donkey Kong 3 is - perhaps unsurprisingly - the third entry in the original Donkey Kong series. Naturally, official footage isn't the easiest to come by, but we've shared a gameplay video from YouTube below along with a description of the game. Donkey Kong 3 is a shooting game released by Nintendo in 1983. Take on the role of the hero Stanley, and use your Sprayer to drive away Donkey Kong and exterminate the various flower-stealing bugs that appear in the botanical garden. Get high scores with a perfect bonus by chasing off Donkey Kong and having no flowers stolen! The game will arrive on 5th April with the familiar pricing of $7.99 / €6.99 / £6.29. Make sure to chase DK all the way to the comment section and let us know if you'll be picking this one up. I would like to see some sort of Nintendo Arcades Collection with new versions of those classic games. I think Diddy Kong could play DK Jr's part and Wario and/or Waluigi could work as the Kong-napping villains. Kinda like the Mario vs Donkey Kong games or the Donkey Kong game for Gameboy. OMG! It wasn't even announced! I wished it was brought to Arcade Archives line and hoped it would, and now it's a fact! This week I'm buying this, Baseball Stars 2 and Ice Climbers or Double Dragon II. @Moroboshi876 I knew you'd be posting lol. We're in the same company with these games, as I was also awaiting DK3, am excited, and am downloading asap too. Ah, the black sheep game featuring Stanley the Bugman who gets no love (Maybe this time in SSBU?). This game was a guilty pleasure with its reworked style. Double Dragon II will take getting used to for a sec, but still essential I'd say for any Double Dragon fan. Stanley should come back from the limbo, he should appear in Smash Bros. as playable or at least as an Assist Trophy, and should appear in Mario games again. There are reports that Stanley is Mario's cousin, but that was never confirmed, and that he is the main character of the Greenhouse Game & Watch, but that wasn't confirmed either. I've never played DK3, but love obscure characters and Stanley deserves some attention. DDII is a game I'm definitely going to buy, but I have yet to play the first one. The thing is I started with Renegade and want to beat it before I get into the DD series. I'm 37 and grew up playing video games, but I couldn't be everywhere and there are a lot of series I have yet to play. Never had a NES back in the day. I followed the MSX-Game Boy-Mega Drive path. Mario vs Donkey Kong ! This series needs to come back. I was never a fan, but awesome! Hopefully, we’re one step closer to a Super Punch Out announcement! Also, it’d be cool to get Radar Scope! @gaga64 DK Jr. will mix up the stages depending on whether you play the Japanese version or not, you get cutscenes, and the AI is more challenging to name a few differences. It's been so long since I last played DK3 I couldn't tell you the differences between arcade and NES offhand. @Moroboshi876 I played Renegade for NES but not the arcade (didn't like the lack of co-op compared to DD, so I passed on it). I'd say that game is more in line with the Nekketsu Kunio games than the Double Dragon Kunio games, so if you've never played DDI, and like Renegade, you're in treat for a classic. Just remember: The elbow is your friend lol! And play with someone if you can. @gaga64 Always. Graphics and sounds are better, there are online leaderboards (although this is due to Hamster's work, not the roms themselves)... 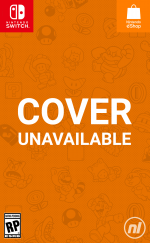 The first DK you know that has a stage not present in NES releases, for instance. And other Nintendo Arcade Archives by Hamster are different from NES versions too, with more levels (Ice Climbers, Excitebike, VS Super Mario Bros...) or just better graphics. This is actually my favorite DK arcade game. I've played hundreds of hours of it at a local arcade. Can't wait to have it to play anytime now. They’ve never put Arcade Archives games on Sale, have they? @gaga64 No, they haven't. But you can always buy them in South Africa or Norway to soften the blow. The one thing that sticks out to mind about this game is how the bugs come down and seemingly feast on Stanley after he dies. @gaga64 That's what I always use them for. Another trick: if you happen to get coupon codes from eBay -that happens when you haven't bought anything for a while-, a good idea is using a coupon to buy eShop cards codes, which transforms into a discount of anything you buy with those funds. For instance: "a 10 euro discount for purchases over 20 euros" allows you to buy a 25 euro eShop card for 15, which is a 40% discount. No thank Q, it should be a Nintendo online game. @Moroboshi876 wow, I had no idea EBay coupon codes were even a thing. I buy too many amiibo and old games from there for it to ever come up! When are we getting Super Punchout since we’re getting all of these sequels? Meh the game was stupid, instead of a fun platformer they turn it into a bug shooter. This game feels like it was suppose to be its own game and Donkey Kong just got put in just to sell it. Awesome! This is a classic for me. The NES version looks terrible, but the arcade version looks like fun - never saw a cabinet in real life. I know it’ll never happen, but if they chucked all the arcade games into a compilation with a funky interface, I’d be all over it. But each game individually just doesn’t hold my interest. Such an underrated game which I find a LOT more enjoyable than the original DK and DK Jr.
Yeah, unlike the first two, it's not a platformer, but more of a enemy management style shooter. Now, DK94 is SUBLIME and a true iteration of the original DK formula-- IMO DK94 and the first MvsDK got it right and should've kept producing that style of game, but I digress for the Mini lovers out there lol. Cool points for the Super Gameboy way to play... totally worth it. I actually love this game...but is the NES port really close to this one? I only ever played this at laundry matte...but a lot...over like 4 years. I won't buy it if it's similar to an NES one cuz we prob getting it on the Nintendo Online thing. @MeloMan It's a great evolution of the Space Invaders or Galaga formula in the same way Wario's Woods on NES does to puzzle games. no matter what arcade games are usually always different than console games because arcades has more power and better graphics. 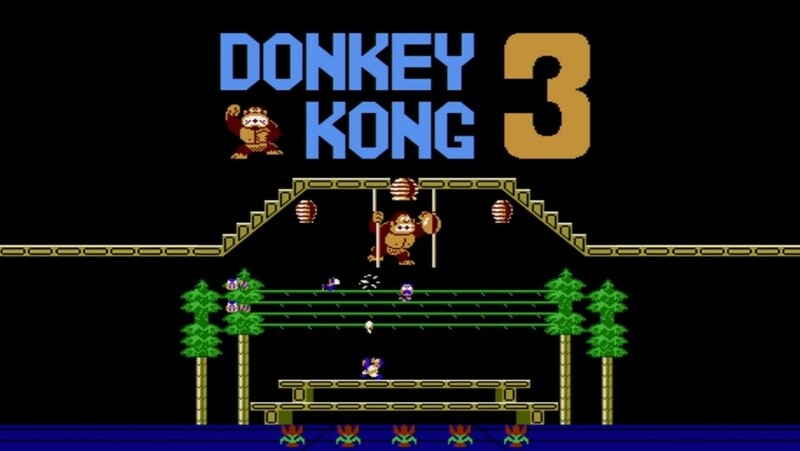 That said, I never played donkey kong 3 in the arcades, only on the console, but I am definitely looking forward to getting it. Day one purchase. My favorite DK, probably because it plays like Galaga. I miss the arcade version. I'll be breaking out the Hori stick for this. Plus the NES version had to be made for horizontal screens, where as the arcade game ran in vertical orientation. Another game for some Flip Grip tate action! Donkey Kong: The smash arcade hit that marked the true beginning of Nintendo and two of their most popular franchises. Donkey Kong Jr.: The classic that you've all heard of, with real roots to the modern Donkey Kong franchise. In all seriousness, though, I actually do like this game! I'm having a blast with this game. It might as well be my favorite of the trilogy... Seriously.